If you want cooperation with ICQ.ONLINE or place advertizing, please contact us. Upgrade to ICQ 8 Meet the new generation of ICQ. Enjoy free video calls, messages and SMS, social networks support and more. 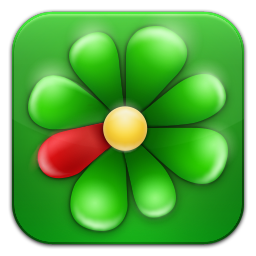 Get ICQ on your mobile and make free calls, send text messages and SMS, create group chat and share files. Free video calls. At the opposite parts of town or in different parts of the world - overcome any distance with ICQ video calls. Smile to your friends and loved ones in a free high-quality ICQ video chat. Group chat. All friends in one chat! Send messages, a photo, video and stickers at once all. Grupchata in ICQ with unlimited number of participants. Layvchata. Communicate with people who divide your interests! You will always find in ICQ layv-chats to whom to communicate on a subject interesting to you. Files, Photo, video. Share high points of day with friends. Send a photo, video and other files to friends to ICQ it is convenient and free. Bright stickers, smilies will make communication in ICQ even more cheerfully. Send to friends to ICQ to transfer the emotions and mood. Free messages and SMS, grupchata, video calls and bright stickers. Free video calls. Arrange a meeting in a quality video chat. You can meet and smile each other where you were. Everything that is necessary for you – ICQ on your iPhone or iPad. Group icq chat. Gather all friends, in a group chat of ICQ. Create a group chat with unlimited number of participants and communicate on any subjects. ICQ of Layv chats. Communicate with people who divide your interests! You will always find in ICQ layv-chats to whom to communicate on a subject interesting to you. Free video calls and voice calls, messages and SMS, group chats and sending photos/videos/files. Free icq video are ringing. You always have an opportunity to meet the family even if you far apart. Use quality video conference for meetings with friends in ICQ. Group chat. Communicate with all friends at the same time. Create group chats with unlimited number of participants and invite all friends. ICQ of Layv-chaty. Communicate with people who divide your interests! You will always find in ICQ layv-chats to whom to communicate on a subject interesting to you. Files, Photo, video. Brag of the best photos. Send a photo or necessary files to multimedia messages in ICQ. ICQ Free Sms. From ICQ you can write even to those who doesn't use ICQ yet. Send free SMS to mobile numbers in any country. ICQ plus Facebook. Connect the account in Facebook to ICQ and communicate with friends from a social network directly from a mobile messenger!